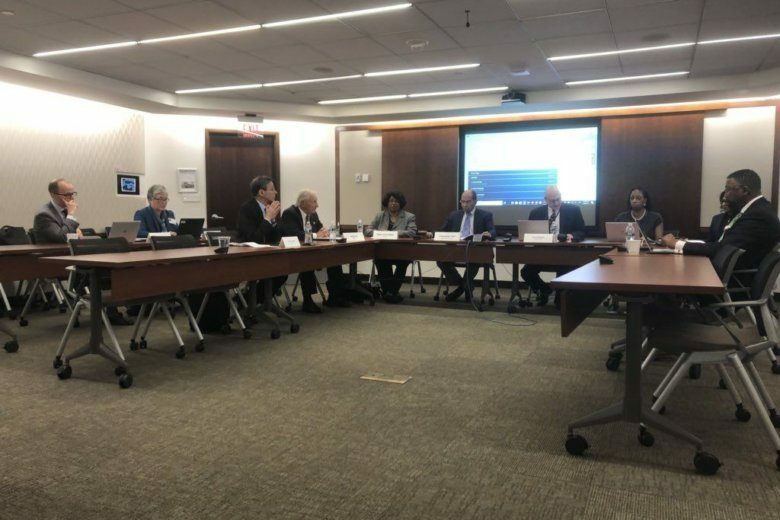 The Washington Metrorail Safety Commission is off and running, already ordering a special investigation into trains that carried riders down the wrong tracks and signing off on Metro plans to cut down on electrical problems, among other changes. The special investigation was ordered the last week in March, WMSC CEO David Mayer said, after three Orange Line trains were incorrectly sent down Blue Line tracks where the two lines split. Two of the trains mistakenly went down Blue Line tracks on Monday, March 25, and a third on Thursday, March 28. While the incidents are not dangerous on their own, Mayer said finding the reasons for the incorrect routing could uncover and help fix a potential underlying safety issue. Metro is now conducting the investigation under the WMSC’s supervision. Mayer detailed the investigation at the commission’s first public meeting since it took over direct safety oversight of the Metrorail system from the Federal Transit Administration last month. Updating track inspection manuals and reduced noise, alarms and distractions in the formerly chaotic Rail Operations Control Center. The commissioners also unanimously approved four specific incident investigations largely related to worker safety on the tracks. Metro updated worker safety rules last fall. This summer, the commission plans to start its first three-year cycle of reviews across 21 subject areas with a review of track infrastructure programs followed by traction power and worker protection policies and procedures. “There is always room for improvement,” Mayer said. Metro still has about 100 broad corrective action plans for issues identified in the past that remain outstanding, prior to any future plans identified through ongoing inspections. Metrorail Safety Commission inspectors have been out in the system on their own, without Federal Transit Administration shadowing, since their first full day in charge March 19. Workers and riders can also submit tips about potential issues. A handful have already been submitted online, Mayer said. The commission is still working on final transfers of finances from the Metropolitan Washington Council of Governments which has been administering setup funding for the region and a formal funding agreement among Maryland, Virginia and the District to match the already approved regional compact that established the WMSC. The commission is made up of two voting members and one alternate each from Maryland, Virginia and the District. WTOP’s Max Smith reported from the Washington Metrorail Safety Commission Meeting in Northeast Washington.